Knitting has been around for centuries, and strangely enough, in the past, more men could knit than women. Times, however, have changed and now more and more women are the ones who are looking for free knitting patterns and instructions online. Knitting is the process of using two or more needles to loop yarn into a series of interconnected loops in order to create a finished garment or a stretch of fabric – stretchy being the keyword here. There are many different knitting stitches that one can use to create all sorts of different textures and designs, and thanks to the internet, we are sharing more and more and coming up with new knitting stitches and designs every week. Thanks to the internet, one can simply google ‘how to knit for beginners, or even ‘how to knit a blanket,’ and you will instantly have an array of wonderful knitting instructions at your disposal. The work knitting is derived from the word knot. (Thought to be derived from a Dutch word). 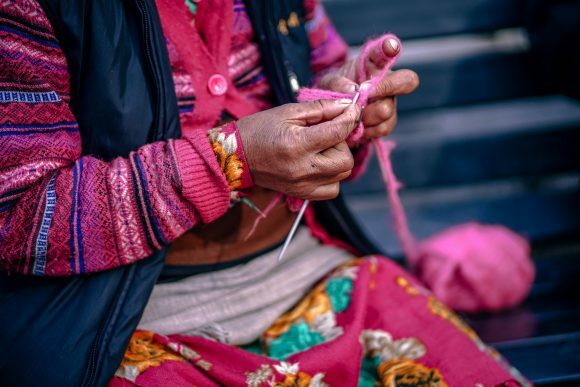 Knitting’s origins come from the fact that humans have always had a basic need for clothing in order to protect themselves against the natural elements of nature. The oldest knitted artifacts found date back to the 11th century and they come in the form of socks of all things that were found in Egypt. It is believed that knitting first originated in the Middle East and then eventually spread along the trading routes along the Mediterranean. During the First World War, men, women, and children were engaged in knitting large quantities of clothing and accessories to help with the war effort on the Allied side. Knitting was done to supplement existing soldiers uniforms with socks, hats, sweaters, scarves, and mufflers. Popular magazines at the time and even songs were made about the knitting craze at that time that had swept over Britain. 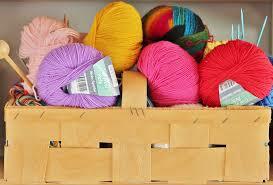 After the war was done, knitting became very popular and more colors and styles of yarn were bought out. The pattern industry thrived and people were mad over fashionable designs in bright colors. It was very popular to knit a twin set in those years, which is a short-sleeved top with a long-sleeved cardigan in the same color over it. Girls were taught to knit in school, as it was thought to be a useful skill, not just a hobby as we like to treat it nowadays. Many magazines featured patterns that people could make in order to profit from their knitting. In the 80’s and 90’s knitting underwent a huge decline in popularity, and this saw many shops and factories closing their doors. Fabrics and track suits became more popular clothing choices during this period. Now in the 21st century, there has been a revival of knitting, and with the internet, many knitters can share and swap free knit patterns, which has made this craft form come alive once more for many. Knitting has evolved and for those that love high fashion items, vogue knitting is the thing to do. There are many vogue patterns available both online and in your local knitting store. Doing vogue knitting enables you to create unique garments that you and nobody else will have. Nowadays knitting is treated as more of a hobby and less of a necessary skill. There are however people that make a living from knitting. Take Stephen West for example. If you want to learn how you can also knit for profits, then maybe you should read this. I have always loved knitting, and am always on the internet looking for knitting instructions, knitting stitches, and free knitting patterns. Nowadays there are so many wonderful resources out there and the choices of what to knit are endless. In fact, I started knitting at the age of six, and back (in the ’70’s) then it was considered normal to see a six-year-old knitting. My Mom and my gran must have had a lot of patience with me. At school, we were taught how to knit a blanket, and we all knitted squares furiously to add together for blankets for the needy. I always try to end my day off with one of my knitting projects. I have about three on the go at the moment, but my goal is to have at least two of them finished by the end of the year. I find it extremely therapeutic and relaxing to just calm my mind at the end of a busy day and concentrate on some knitting. If I look at my daughter and her friends, I think only one of them, besides my daughter, knows how to do the basic knitting stitches. Also, children of today seem to have other more interesting things on their minds and find it difficult to sit still and calmly knit. If you want to know how to teach your child to knit, click here for some knitting tips. 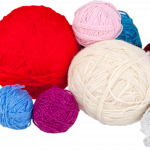 The other great thing about knitting is that it is a relatively cheap hobby as all you need to start with is a ball of wool and a set of knitting needles. You will also always be able to make something out of your scraps of wool. If you are not sure what, simply got and ask Google. The best thing to do when learning to knit is start off with something simple. All you need to master in the beginning is how to cast on and how to do garter stitch. Once you have mastered these knitting stitches, the rest will be a piece of cake. When you start learning how to knit, be patient with yourself. Be prepared for untidy looking knitting, dropped stitches, clumsy handling of your knitting needles and it will be slow going. There are basically 4 steps involved when knitting a stitch – In, Over, Through and Off. In is where you insert the needle into the stitch. Over is the process of taking the yarn over the needle so it rests between the two needles. Through is taking the needle from the back to the front or vice versa so that you can pull the yarn through your stitch. Off is the process of pushing the stitch off the needle before you move onto the next one. Stick with it, and you will soon start to enjoy the challenge. Click here and you will get full video instructions on how to knit for beginners. 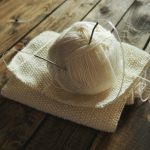 If you already know how to knit, but want some practice, you could try getting one of the easy patterns off of this site. A good thing to start with is by learning how to knit a blanket. When knitting a blanket, the easiest way is to knit squares and then when you have enough, simply join them together. You will need to decide on how big you want your squares to be initially and then you need to make sure that you cast on the same number of stitches, knit the same number of rows and use the same sort of wool for each of the squares that you are knitting. Once you have learned to increase and decrease stitches, you will find knitting squares easier, as you can knit adding on a stitch at the end of each row and then once the side of the triangle measures what you want it to, then you simply decrease a stitch at the end of each row until you have one stitch left on the needle. This method of how to knit a blanket makes a lot of sense because you can use any size needles and any sort of wool. Once your triangle is the right size, you simply start to cast off again. Increasing and decreasing in knitting is fairly simple. if you want to increase a stitch, you simply wind the wool around the needle again before pushing it off the needle. If you want to decrease a stitch, then you simply knit two stitches together. Although you may think some of these things a little strange to mention, they happen and I call them my collection of classic knitting fails. Never leave your knitting when half way through a row. When you come back you may not be sure which way your were going and knit back the wrong way. This has happened to me a lot. Now I always finish the row before leaving the knitting. Never leave wool around if you have a dog or cat. 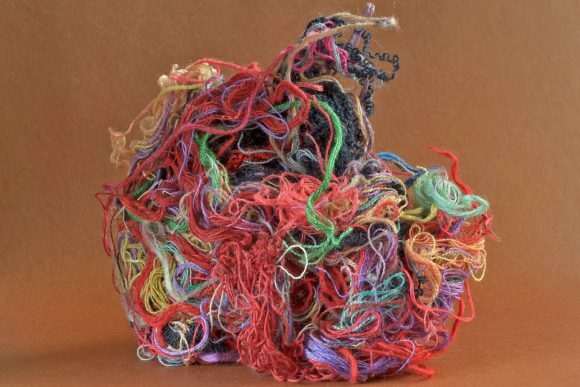 Unless of course, you want a tangled mess to sort out later. Toddlers also apply here. Detangling wool must be the worst job in the world. When casting on a large number of stitches, never only count the stitches on the needle once. Three times and no less making sure to come up to the same number of stitches each time. Especially if you have had to cast on more than 70 stitches. There is nothing worse than knitting a few rows and discovering that you have the wrong amount of stitches. Such a waste of time having to pull everything out. This one is really common. You start with a certain number of stitches and end up with more or fewer stitches that you are supposed to. If you examine your knitting, you will see you will have either dropped some stitches along the way or picked up some you weren’t supposed to, resulting in holes in your knitting. It is very common to gain stitches at the end of your knitting rows as it is so easy to knit the last stitch as two stitches in the next row. Click here to see some quick fixes for these types of problems. I always purchase a ball more than the pattern asks for, because if you do run out, you are unlikely to match the exact color, as each batch of yarn made will come out with a slightly different shade of the same dye. Rather be safe than sorry, and there are always tons of stuff you can make with left over wool. Knitting with two different sized knitting needles as you picked up the wrong one. This one happened to me as I was so interested in the tv program I was watching I just picked up two needles and started knitting. Only discovered a few rows later that one needle was a size 6 and the other a size 8. Knitting too tightly or too loosely is very common, especially for beginners. If you are knitting too tightly, you will battle to get your needle into the stitches to knit them, and if you are knitting too loosely, your knitting will look untidy and loose. It just takes practice as you learn how to knit to get the tension right. There are a multitude of free knitting patterns available on websites like Craftsy or Knitpicks. You can also simply try Google for a great variety of free knitting patterns. If you are looking for something specific, like Vogue patterns or vogue knitting instructions, then you may need to purchase the pattern of your choice. Either way, it is not expensive to purchase a pattern, and the price will be well worth it if you can make something of value with your vogue patterns that you can show off or sell. If you learn how to knit, you are teaching yourself a life long skill that you can use for many useful projects. 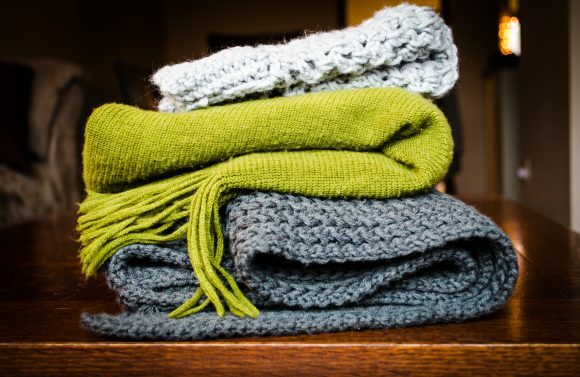 Did you know you can not only knit clothes and blankets but also things like beautiful scarves, bathroom mats, toys, oven gloves, dishcloths for the kitchen, mug warmers, placemats, scatter cushion covers, covers for books, coat hanger covers and a huge array of lovely homemade gifts for friends and loved ones. Many pensioners also use their skills to knit for charity and get together regularly in knitting circles, which makes for a great social gathering where you can all share in your passion for knitting and swap ideas. Now, where did I put all that spare yarn? Vogue Knitting – What Is It All About? I am glad to have found your website on knitting. It was a very interesting read indeed. Actually, I have been contemplating taking up knitting because I knew it was one way to calm myself and relax. More so because I love handcrafted items. But I am also looking into crocheting. Which do you think is easier to learn? I have been a knitter all my life and have from time to time dabbled in crochet, which is also fun. I however find knitting easier, but it could just be because I am more used to it. A lot of people who crochet say the crochet is easier. So to answer your question, I think it is a personal choice. Hi, this is an interesting article on knitting, I actually used to knit a bit when I was a kid. My mum has knitted for years and taught me, to be honest I can’t remember how to anymore. Given the cost of wool and time needed to knit items, do you think money can be made from knitting? Thanks for stopping by Ken. Money can be made from this hobby, especially if you can design something that everyone would love to have. Knitting doesn’t always go slowly. I knit with big needles and can churn out chunky sweaters in a few hours worth of knitting. If you really want to take it to the next level, a knitting machine will really get you churning out those garments at maximum speed. Pleasure Derek and hope that you do get back on track. Wow! Great post! Haha… I’m just getting into knitting, and have made the mistake to put it down half way through a row, and forget … what a disaster 🙁 . But so far, all I’ve been able to knit is a blanket. I always thought it would be so complicated to know how to do. But I have a friend who sounds as much into it as you are (heart) and she convinced me to give it a go. I find it so relaxing now! That’s great Mei. Once you get into it, knitting makes fans of us all. I wanted to get started with knitting and this is the perfect place to get started with, I think I’m going to order a knitting kit today and see how it works out. The site has a lot of helpful info on knitting and I think it would be great to follow along while I learn how to knit. Thanks for putting up such helpful content. Pleasure Shrey. Enjoy your knitting experience and thanks for stopping by.